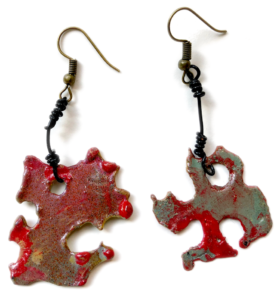 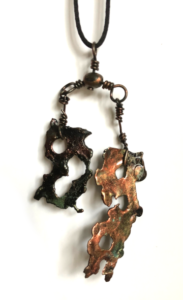 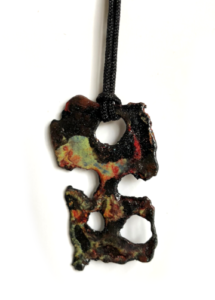 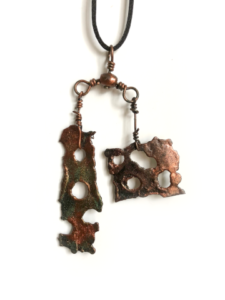 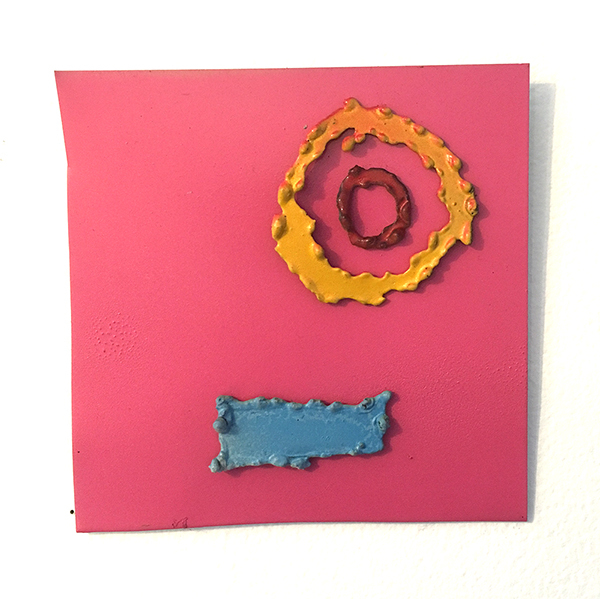 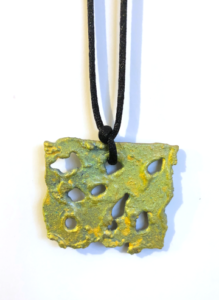 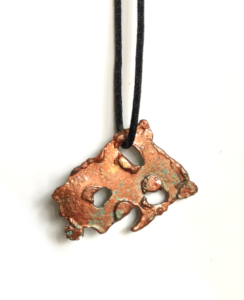 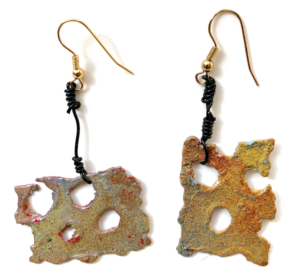 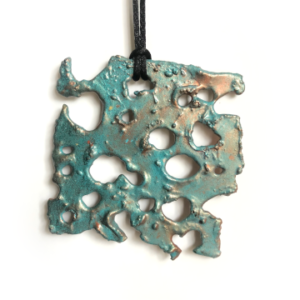 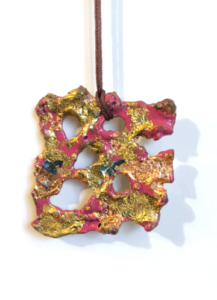 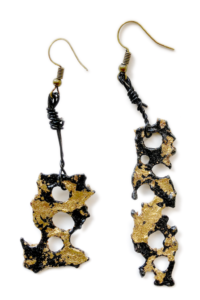 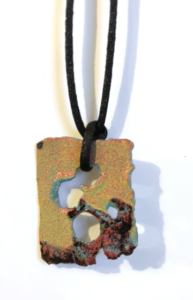 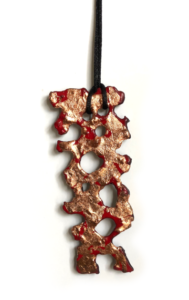 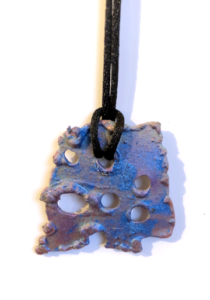 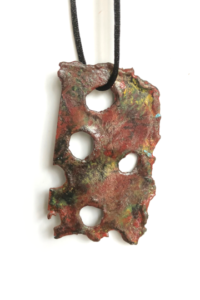 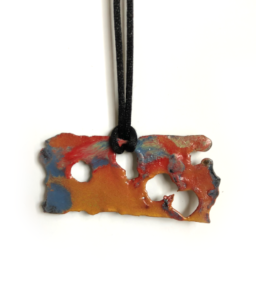 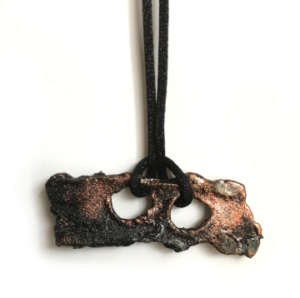 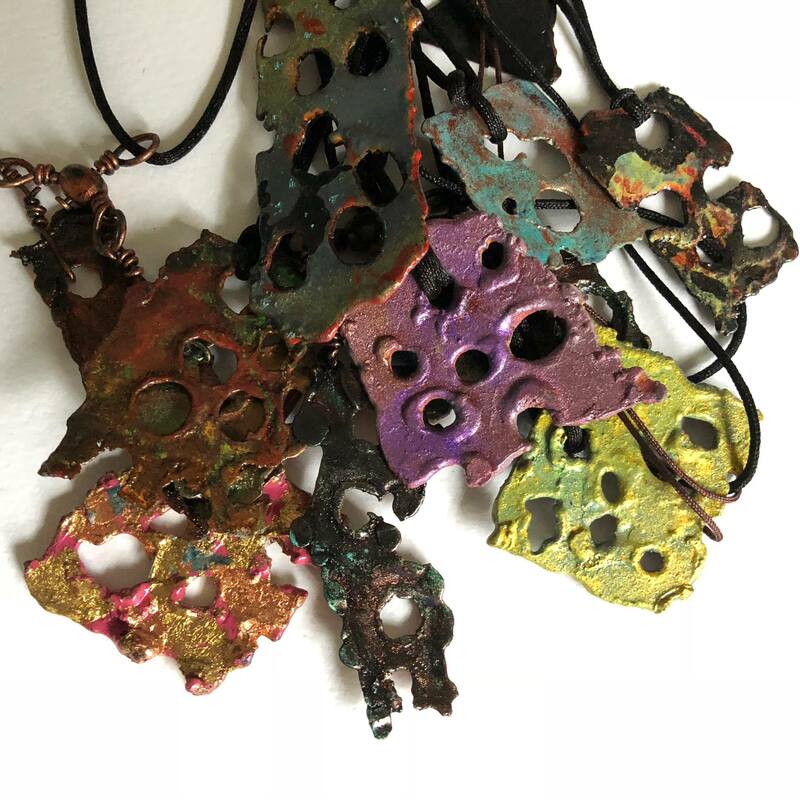 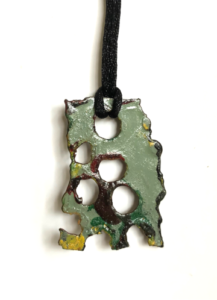 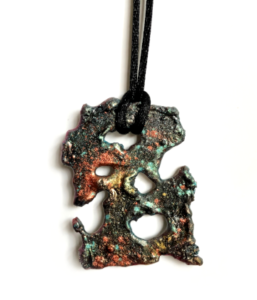 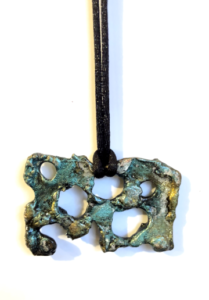 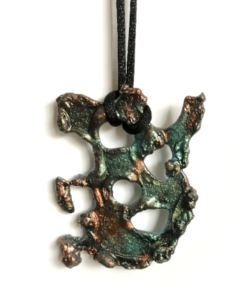 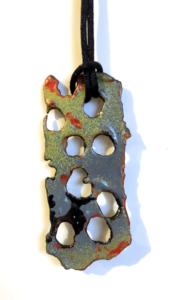 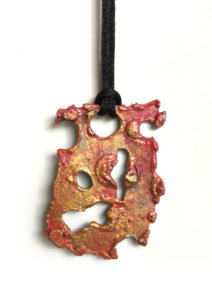 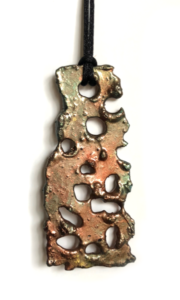 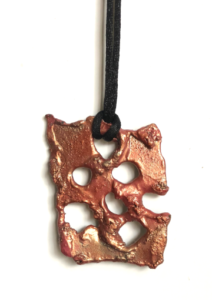 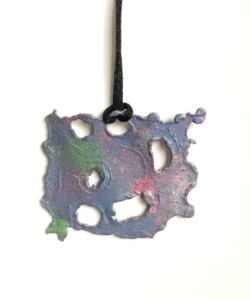 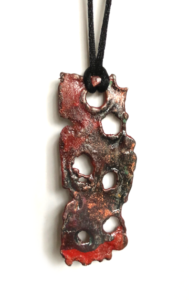 William Paul Gaetjens’ new line of jewelry employs processes developed over the years in his application of color to canvas and metal sculptures. 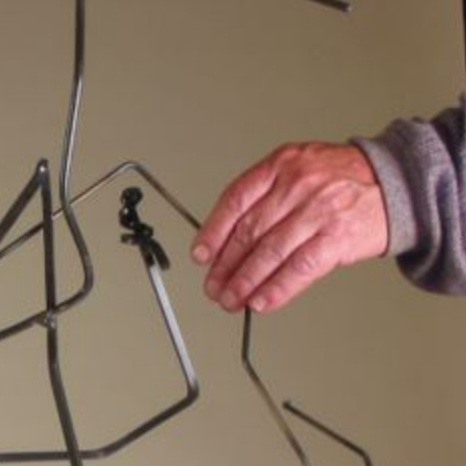 Each piece is handcrafted and unique and used in the creation of his larger works. 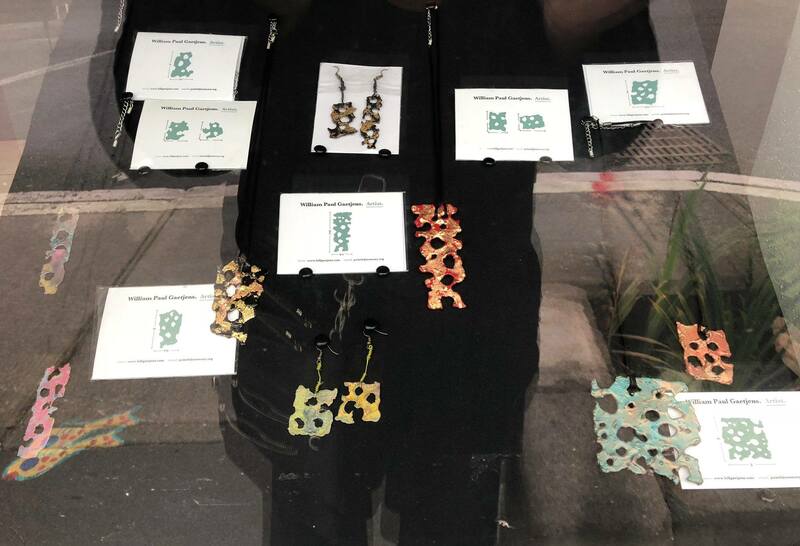 Earrings are $60 each and pendants are $55. 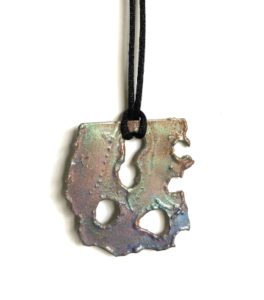 Makes a perfect gift.